Presentation and Dinner: The first 1/2 hour is for dinner and networking. The optional buffet dinner starts at 5:30., and the presentation begins at approximately 6 pm. The cost of the buffet is $10 for members, $15 for non-members, and includes pizza, salad, pasta, and soft drinks. Webcasting: This presentation will be webcast starting at approximately 5:50 pm. You will be able to view the presentation slide show and hear audio from the speaker. Please note that during our phase-in period, we will not be take questions from our webcast audience; we hope to do so in the future. Finally, please note that the webcast quality depends on our venue’s Internet connection (i has been dependable in the past but is sometimes inconsistent at the beginning). Note – Webcasting requires you to install the WebEx browser plugin. You will also need to install the GlobalMeet audio app to call in via the Internet. If you experience problems with the audio app or choose not to install it, you can also call in using the toll-free telephone number below. As systems become more complex with deep integration of multiple disciplines (software, electrical, and mechanical), information relating to designs, analysis and decision making become more difficult to manage and update which can lead to significantly extended project timelines and increased costs. This coupled with increasingly ambitious projects require us to build systems that enable the management of complexity and reduction of project timelines, and therefore cost. Voyager Space Technologies is developing a cloud-based engineering platform that allows engineers to directly integrate their analysis (MATLAB, python, FEA) into a modeling environment along with system block diagrams, bills of materials (BOM) and CAD files. This Integrated modeling and development environment allows teams to reuse analyses and models across projects, as well as utilize those models concurrently and collaboratively. 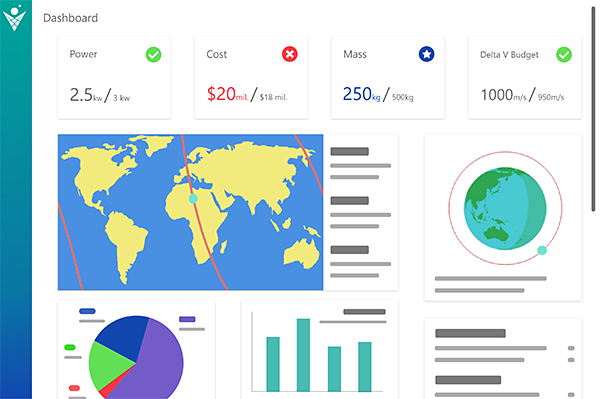 Beyond facilitating collaboration and reuse, the integration of all these data points allows for systems optimization and insight generation that relates to design decisions and component selection on a much larger scale. Voyager utilizes cloud servers and computation clusters to run hundreds of analyses, thousands of times to generate those insights. My talk will include details on our current approach, user research and current development status. Faris Hamdi is the CTO of Voyager Technologies, a startup focused on accelerating the engineering process by providing a collaborative concurrent engineering platform for teams. Previously, Faris lead the Triteia CubeSat Team at UC San Diego in the NASA CubeQuest Competition and placed fourth nationally for the development of a lunar small satellite. 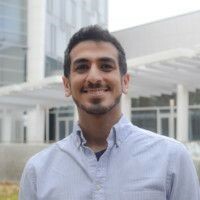 Faris is an Aerospace Engineering undergraduate at the UC San Diego with experience in robotics and systems engineering at the Contextual Robotics Institute and the Scripps Institute of Oceanography. 15 signed up so far.